Is herbalism and aromatherapy the same? In essence, as alternative health treatments, both use botanical materials, and can be grouped together, but the way in which the botanicals are used, varies between these two fields. 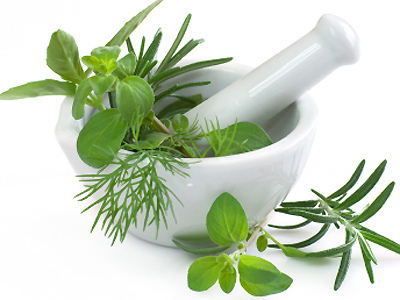 Herbalism, like aromatherapy, makes use of a large variety of plant material, but in herbalism the extracts are normally taken internally, while the ingestion of essential oils is only done under strict medical supervision, by medical personnel suitably qualified to do so. The aromatics found in the botanical materials are important to both herbalism and aromatherapy, yet herbalism also makes use of the tannins, bitter components, mucilage, glycoside etc found in the plant - and in most cases this would constitute the water soluble section of ingredients. In herbalism, the amount of essential oils that would be ingested would be minute, as the amount so obtained when making infusions (teas) is extremely small. In aromatherapy concentrated essential oils are used which are obtained by various extraction methods. For instance - when having a cup of chamomile tea, the amount of oil that you would obtain while making the tea from the dried plant material would be very small, while if you use chamomile essential oil in the correct dilution while doing massage therapy, it would be dramatically more (even when diluted in the carrier oil) than what you would ever find in your tea. In aromatherapy, the insoluble components are used and are generally far more concentrated than their herbal cousins. But to answer the question we asked in the beginning - no, herbalism and aromatherapy is not the same, yet both of them believe that the patient should be treated holistically, and both make use of products derived from organic botanical material, although the botanical material is used differently by these disciplines.